LINTHICUM, Md., Nov. 1, 2017 /PRNewswire-USNewswire/ -- The American Urological Association (AUA) today announced John D. Denstedt, MD, FRCSC, FACS, FCAHS, has been named Secretary-elect, a position he will assume in May 2018 with ratification at the AUA Annual Business Meeting, and hold until May of 2019 when he becomes Secretary of the Association. As Secretary-elect, Dr. Denstedt will prepare for his future role by serving ex officio with the current Secretary on various AUA committees and attending all Board meetings. Once elevated in May 2019 to a four-year term as AUA Secretary, Dr. Denstedt will formally support the development of the Scientific Program for the AUA Annual Meeting and serve as Editor of AUANews, the official monthly news magazine of the AUA. Additionally, Dr. Denstedt will represent the AUA to numerous domestic and international organizations; coordinate communications with subspecialty societies; oversee policy review activities; and serve on the Board of Directors for the AUA. "Dr. Denstedt's previous experience serving on the Board, as well as numerous AUA committees, makes him an excellent fit for this position," said AUA President and presiding officer of the Secretary-elect Search Committee, J. Brantley Thrasher, MD. "Although the Search Committee had three outstanding candidates, the AUA Board of Directors is confident Dr. Denstedt's global expertise and proven leadership will enhance the AUA's ability to achieve its mission." An active member of the AUA since 1991, Dr. Denstedt most recently served on the Board as the AUA Northeastern Section Representative and has previously held positions on the Judicial and Ethics, Finance and Annual Meeting Program Planning Committees. Additionally, he served in a scientific capacity as an Annual Meeting abstract reviewer or team leader for more than 20 years. An internationally renowned scholar in urology, Dr. Denstedt is a Professor in the Division of Urology at the Schulich School of Medicine & Dentistry at Western University where he previously served as Chair/Chief of the Department of Surgery for 14 years. 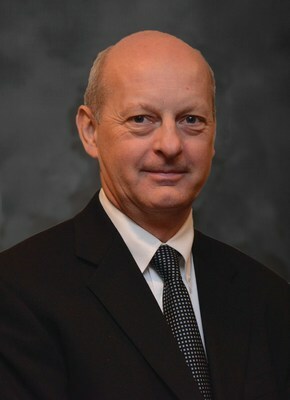 Dr. Denstedt's career accomplishments include more than 250 published papers and book chapters; over 200 guest professorships in countries throughout the world; and numerous honors and awards, including being the first Canadian to have been awarded the prestigious AUA Gold Cystoscope Award.